I first came across the story of this ill-fated class of steam driven submarines in a book, "Lost at Sea" by John Harris and published by Methuen in 1990. By the end of 2001 I'd started this page and moved to America. In 2003, I was in a second-hand book store in Decator, Illinois glancing through some magazines. One of the magazines was "Naval History" from the US Naval Institute of Winter 1988, Volume 2/1/2 and contained an article "K Stood for Catastrophe and M for Monster" by Commander Richard Compton-Hall RN (retired). There was a television documentary produced about the finding of the submarine which was in 1999. This page contains parts form all these sources. Before I start on the story of these submarines I should point out that, properly designed, there is nothing wrong in the idea of steam driven submarines, this is after-all how nuclear powered subs operate. The reactors provide a source of heat to turn water to steam to run turbines. At the start of World War I the British Navy was in disarray. The Great War had arrived and found both the ships and the leadership wanting. To some, it appeared that boilers, steam, funnels and submarines was a mix waiting for disaster, but in 1915 the first of the K class was being built. There were no prototypes and twenty seven of the ships were ordered. In total they sank no enemy shipping, yet were the cause of tremendous loss of life and anguish for their crews, who were known throughout the Navy as the "suicide club". Because of the war, the accidents that befell these ships - and the court-martials that followed - were kept out of the public eye. Admiral Sir John "Jackie" Fisher became First Sea Lord shortly after the start of world War I. He was always an advocate of big, fast, heavily armed ships and encouraged the development of the Dreadnaught. He'd also been interested in submarines and wanted a class that could keep up with surface ships, this he got in the K class. Although fast, some of them could make 26 knots on the surface, they couldn't submerge in less than 5 minutes and many took far longer. Steam had long been considered for submarines. The first was a Spanish vessel named Ictíneo II which was launched on May 20, 1865. This was a human-powered submarine but its designer Narcís Monturiol invented an engine that used a mixture of zinc, manganese dioxide and potassium chlorate that produced enough heat to turn water into steam. A byproduct of this reaction was oxygen. The engine was fitted and made it's first run on October 22, 1867. Monturiol went bankrupt developing the submarine and his creditors broke it up for scrap in December 1867. Resurgam II was launched on November 26, 1879. She sank on February 25, 1880 in Liverpool Bay off Rhyl, Wales, after an oversght. She was being towed by by the steam yacht Elphin which developed engine problems. The crew left the submarine to assist the yacht but they could not secure the hatch of Resurgam II from the outside. She started to ship water and sank. Swedish industrialist Thorsten Nordenfelt had four steam driven submarines built between 1885 and 1887. They were not a great success but the 1886 Nordenfelt II Abdülhamid was the first submarine to fire a torpedo while submerged. A prototype of the K Class submarines, S1 HMS Swordfish was ordered on August 8, 1913 and was launched on March 18, 1916. A ot ow as learned about using steam turbines which was used inthe K Class but the Swordfish was slower than designed and unstable when surfacing. Between June 27, 1917 and January 24, 1918 she was converted to a surface only anti-submarine patrol boat. She was paid off on October 30, 1918. There are stories of people seeing coal being carried aboard the K class giving rise to speculation that this was used to fire the boilers. The boilers were oil fired and the coal was used for the galley which was outside the pressure hull, under the upperworks, behind the funnels. Compton-Hall recalls the story of one of these submarines that dived, forgetting all about the chef, who had to swim for it, but was later picked up. The first accident happened to K13 in January 1917. A heavy sea damaged the funnel, only determined bailing out of the engine room prevented the ship from filling with water and sinking. K3 very nearly ended the life of the man who would become King George VI. Leaving Portsmouth with the Prince on board she was trimmed for diving. K3 suddenly went into an uncontrolled dive. In 150 feet of water she ended with up with her bow buried in the bottom and her stern above the surface, her propellers spinning uselessly in the air. It took 20 minutes for control to be regained and the ship to be bought back to the surface. On her first North Sea patrol she took water down both funnels which flooded the engine room. Only the small diesel engines these ships were provided with enabled her to reach port. K13 was in trouble again, only this time far more serious. For her diving trials, she carried her own crew, the crew of K14 which was still being completed, and some civilian technicians. Leaving port someone turned off the starter motor on the steering gear. K13, without steerage grounded on a sandbank. Here a Glasgow steamer scrapped along her side as it tried to squeeze past. K13 freed herself and proceeded with the rest of the diving trials. Running with just her conning tower above the water it was noticed the ship was increasing in weight. A leak was found in the boiler room and fixed. Someone noticed that one of the four ventilators between the funnels was sticking, but on inspection they were reported as being operational. Her captain, Lt.-Commander Godfrey Herbert ordered that preparations for a dive start and the funnels were lowered into wells on the deck. The indicator lights showing the hatches were closed came on, then one started to flicker - this was ignored. Water began to flood the boiler room through an exhaust pipe. Herbert gave the order to rise, but K13 continued her descent. A 10ton ballast weight was dropped but still K13 continued to sink. A mile away, in a hotel, a maid reported seeing two men in the water where the submarine had just dived, she was ignored. The ship came to rest stern first on the bottom. In the control room water sprayed from the speaking tubes leading to the aft part of the ship. The water sprayed into control panels and the fuses blew. By this time, 31 of the 80 men aboard were already dead. By the evening, the crew of E50, an accompanying submarine, were becoming worried for the K13 and salvage equipment was sent for. This in itself, if it weren't for the tragedy of it all, was a comedy of errors. The first rescue vessel, Gossamer, didn't arrive till 10pm. She carried a diver but no suit for him. Fairfields, the builders, sent to Glasgow for one of their own divers. When he dived, his suit burst and he nearly drowned. Someone from Fairfields raced off to find another suit. The salvage ship Thrush arrived straight from another job, which meant she had very little gear, no diver and no suit. By the following mid-morning it was decided on K13 that someone should attempt to leave the submarine. Letting water into the space between the inner and outer hatches of the conning tower Captain Herbert was to then open a valve sending compressed air and along with it Captain Goodhart of the K14 to the surface. As the outer hatch opened both captains were forced through the open outer hatch. Goodhart simply disappeared. The surface rescuers had already tried to fit an external high pressure air hose to the K13, they tried again and succeeded. By now she had been submerged for 35 hours and the foul air coming up from K13 was almost black. Using the air from the hose to refill her air tanks and with the aid of the wire now slung beneath her she began to rise from the bottom. Around midday she broke surface and was tied off to two barges to support her. A hole was cut through her pressure hull and at 10pm the last man left K13, she'd been submerged for 57 hours. The hole cut into the hull was only inches above the water line, at 6pm the next evening she tore the bollards from the barges and sank. The court of enquiry was told that divers had found that 4 of the 37inch ventilators had been left open during the dive, not only that, but the indicator lights showed they were open. The engine room hatch was also found to be open. On 15th March K13 was raised. They expected 31 bodies to still be inside her, they only found 29. It was decided that two men , the ones seen from the hotel, trapped in the engine room had opened the hatch and tried to escape. The sudden change in pressure had killed them. 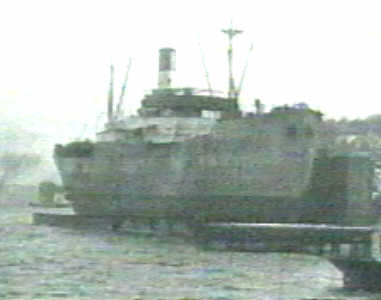 The body of Goodhart was found trapped in the superstructure. One of the missing bodies turned up in the Clyde two months later. None of the civilians or officers ever sailed in a submarine again. Petty Officer Moth went bald within weeks of the accident. K13 herself was refitted and returned to service as K22. K1 had so many problems her trials lasted 5 months. K2, on her diving trials, suffered an explosion and fire. On her acceptance trials the boiler-room vents refused to shut properly. K6 on her first dive suffered problems with her compressed-air system and for a while was unable to surface. Apart from these troubles, there were design flaws with all the K Class. The lacked buoyancy in the bows, which meant that in bad weather they had to either reduce speed or dive. The forward gun could not be manned as it always was half submerged. The deck torpedo tubes could not be used. 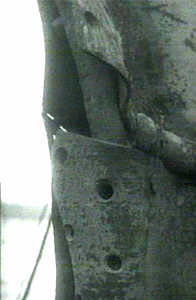 Water from the conning tower would short out the electrics and made parts of it electrically live. At around 300 feet in length the ships had odd diving characteristics, the flat areas of the of the superstructure acted as hydroplanes, and most of the K Boats went out of control during some of their dives. "Crash" dives were impossible because of the necessity of shutting down the boilers, lowering the funnels etc. Not only that but because of trouble with the indicator lights some captains would go out on deck and physically check that all the valves were closed before diving. On 16th November 1917, K4 rammed K1 which had to be then sunk with gunfire. By now K22, the old K13, was back in service, there were reports that crewmen would report sick or find other excuses for not turning up for duty in her. She had the reputation of a jinxed ship, maybe "Exercise EC1" proved them right. In early 1918 the K boats were to be part of "Exercise EC1". Once again, if it weren't for the loss of life the exercise would have been laughable. "Exercise EC1" was a training exercise involving 26 battleships, 9 cruisers, 4 light cruisers, numerous destroyers and the two K class flotillas. It was to start in the North Sea on 1st February 1918. Forty warships left Rosyth on the night of 31st January to take up their stations. What was to become known as the "Battle of May Island" had begun. Each ship was to operate under radio silence and showing only one stern light each. At 6.30pm the first of the squadrons with one of the flotillas of K boats left port. Following them was another squadron with the other flotilla. CPO Moth was cox'n of K22. The squadrons were steaming in line at around 20 knots, the line being around 30 miles long. The order of march was Courageous, Irthuriel, K11, K17, K14, K12, K22, Australia, New Zealand, Indomitable, Inflexible, Fearless, K4, K3, K6, K7 followed by the battleships. Unknown to each other 20 miles downstream eight minesweeping trawlers were going about their business. K11 turned to port, followed by K17. The commander of K14 saw the reason why, two of the minesweepers suddenly appeared in front of him. He too ordered a turn to port, during the turn the helm jammed. K14 turned on her lights as did the following K boat, K12. K14's helm freed itself and she tried to return to her place in the line. K22, following K12 crashed into K14. The ships ahead of them didn't notice. K22 radioed for help, in code, saying she could reach port but K14 was in danger of sinking. By now the following squadron was upon them. 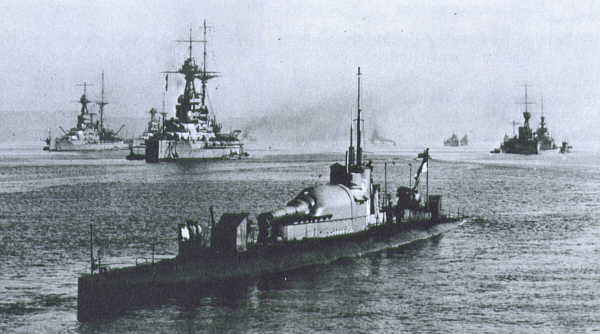 The leading ships saw the two submarines and took avoiding action. CPO Moth who was on the bridge of K22, saw the first two ships pass them, the third only missed him by around 10 feet, but another, Inflexible, crashed into them. The first 30 feet of K22's bows were bent at right angles, the ballast and fuel tanks were sliced off and she was pushed under the water until only the conning tower showed. The message about the collision was decoded and the commander of the leading squadron decided to turn back to find the submarines. The dice were thrown, it was only a matter now of the names of which ships were going to collide - and the number of men that were going to die. 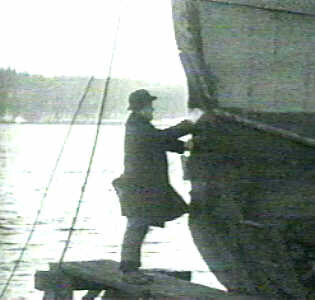 Fearless, leading the second flotilla of K boats, was watching for the damaged submarines. The captain of Fearless realised he was on a collision course with K17. The bows sank deeply into the submarine just forward of the conning tower. Eight minutes later K17 sank. K12 narrowly missed being ran down by Australia, but was now heading for K6. K6 tried to avoid her but in doing so cut K4 nearly in two. K7 was heading straight for the remains of K4, which sank so fast it passed right over it, just scraping the keel. The following battleships had received no messages about what was happening arrived at the site and cut straight through the wreckage and the swimming men. Men who had already been hauled aboard the decks of the remaining submarines were flung back into the water. Over a hundred men had died, only 9 from the crew of K17 managed to survive, many those who were rescued from her collision with Fearless were killed when they were washed from the deck of K7 by the battleships. K3 hit the seabed in 266 feet of water and was damaged along her entire length. The Admiralty had a brainwave. Why not fit a massive 12 inch gun to the deck of the K class submarines? The idea being that if the torpedoes missed or failed the submarine could fire a shell at it's target. The idea seems stupid, what is the point of a one-shot warship? The guns were shortened 12-inchers taken from the 19th century Majestic class battleships and they could carry 50 shells for it. There were problems with the addition of this gun. It weighed 60 tons which reduced the submarines diving depth. Because the housing wasn't water tight the M boats had to reload on the surface. It took nearly a minute to get the boat from periscope depth, reload, fire and back underwater. The gun alone caused a few accidents. The barrel was sealed with a hydraulically operated tampion, but less care was taken with the breech. During the trials water allowed into the gun via the breech caused the gun to explode on firing, not once but twice! Both guns had to be replaced. The guns were made by using an inner barrel overlaid with tightly bound wire over which there was an outer barrel. On another trial the site-setter forgot to open the tampion. When it was fired, the tampion was blown off of the gun, unfortunately it caught in the binding wire, taking it with it and the gun disassembled itself. That evening a dance was supposed to be held for the crew in Weymouth. The dance went ahead, but the boat, along with the crew, were anchored in the bay trying to get the untangled from the tightly drawn wire. There were some other improvements though, diesel engines replaced the turbines and steam boilers. 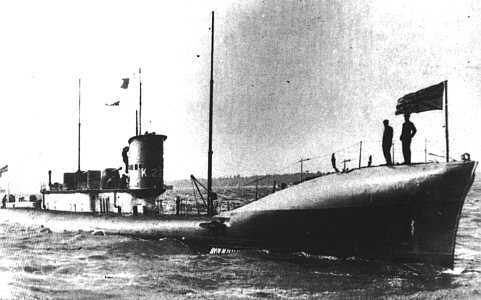 Four unfinished K class submarines were ordered to be converted converted, K18, K19, K20 and K21, but only three were to became M class submarines. The M stood for Monitor, but they soon became known as Mutton boats - as in lambs to the slaughter? The conversion caused even more problems. The diesels made the submarines slower, but there were some advantages, the M class were much more stable underwater than the K class and the gun gave the bridge more protection. The first of the M class entered service in 1918, but too late to see active service. The M class had 4 18-inch bow torpedo tubes, a 3-inch gun as well as the 12-inch. They had a crew of 65 and could move at 15 knots on the surface, 9 knots submerged. M1 (K18) was sunk on 12th November 1925. The 100 metre long, 2,000 ton submarine carrying 69 submariners had just started an exercise to test her battleship hunting capabilities off of Start Point on the Devon coast. At 7am that morning the exercise started and at 7.28am she reported sighting one of the target cruisers and was going to pursue it. She was around 20 miles south of Plymouth and about a minute after sending the report started to submerge. That was the last anyone saw of her or her crew. The Swedish collier, SS Vidar, was in the area at the time. When she reached port the crew reported hearing a couple of loud bangs but thought nothing much about it. The ship was dry docked and found to have some slight damage to her bows. Even more telling was the navy grey paint around the damaged area.